Congratulations to poopiebitch for being the winner of my contest! Your cookie cookbook is on the way to you! 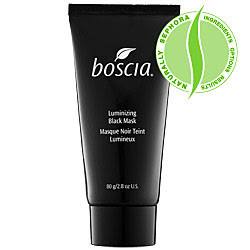 Last week I got to try a sample of the new Luminizing Black Mask by boscia. It is interesting - it is actually like a thick black tar you slather on your skin. It is fun to peel off and your skin is really healthy looking afterward. Do not try talking to your kitty while wearing it - if your cat is like my boy - well, he will be scared! 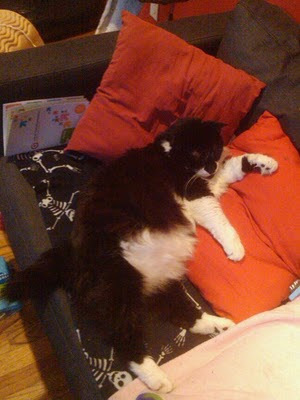 Speaking of kitties my cat Mar is in a contest over on Modern Cat to win a comfort lounge. Please vote for Mar (#111) this week so he can be in the top 5! Thank you! Ahhh Mar looks like a Purrrrfect (sorry, had to do it) cuddle buddy!